Feeling intimidated at the gym? Don’t let the rows of heavy machinery and herds of people who seem to know all about how to use them like a pro scare you away. The gym may make you feel really out of place, but the truth is that it’s a place for everyone. Here are some simple ways to battle feeling intimidated when you really just want to squeeze in a workout. The gym — whether it be the rec center at your school or a fitness studio near your apartment —is a space meant for people (including you!) to freely work out at their own level. “One of the most important things to remember is that everybody goes to the gym at their own pace,” says Rachna Shah, a freshman at Dartmouth College. “There might be people who are running on the ellipticals or treadmills at a high intensity for about an hour's time, and there are people who've never been to the gym before.” There will be a range of skills at the gym, from people who are long-time experts to people who can barely run a mile. Focus on your own growth! The explanations are there for a reason! If you ever see someone using a machine flawlessly, chances are that they’ve read the instructions at one point before. 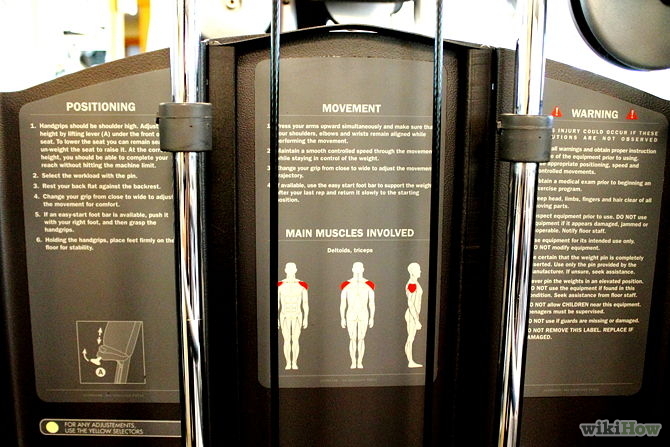 Taking the time to learn about each machine is a foolproof way to make sure you are using them correctly and – most importantly – avoiding any injuries. If you go to the gym at peak times like when people are getting off work or done with classes for the day, chances are the place will be crowded. If you don’t wanna deal, try to go at times when you wouldn’t expect a ton of people, such as early mornings or late nights. Take yourself out of the gym (mentally) and focus on the music rather than worrying. Music is a great way to stop yourself from thinking about other people surrounding you at the gym, which can cause a lot of intimidation. Invest in a good pair of earbuds that won’t fall out as you exercise and make yourself a great playlist to listen to as you workout! If you look good, you’ll feel good! Lauryn Higgins, a senior at the University of Nebraska at Lincoln, stresses the importance of dressing well to make yourself feel confident. “The one thing that has really elevated my confidence is the clothes I wear. Wearing any outfit that makes you feel confident is the one of the greatest gifts you can give yourself, so buy a cute pair of leggings or a tank top, or borrow a friend’s if you're on a tight budget.” Try places like Lululemon, Athleta and Forever 21 to find cute workout outfits that are sure to boost your confidence! Especially if it’s your first time, you may not know where to start. Beat this by coming up with a game plan before you step foot into the gym. Plan out what you want to do and for how long, so that way you know exactly what you’ll be doing when you get there. With this advice, you’ll be feeling confident at the gym in no time!